Beetles are known as insects, in the outside part they have a solid hard shell, in the fore wings are the horny, hind wings are membranous and constitute, which is a little bit of beetle understanding . When you see beetles you will certainly be a bit Fear. 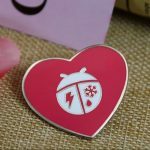 Even not all of them look cute, they have really inspired a lot of people to create Fashion, Elegant and cute apparel pins with it! 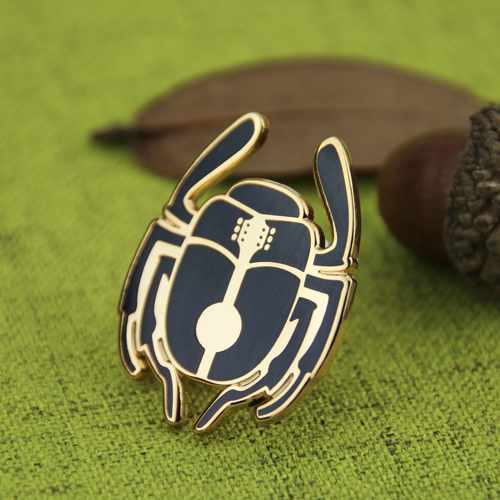 Our beetle pins are perfect for the beetle lover. 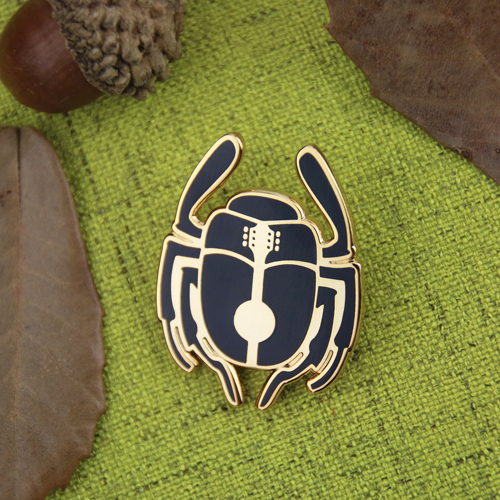 Rock your beetle pin on anything: denim jacket, tote bag, scrubs, lanyard, or your backpack. 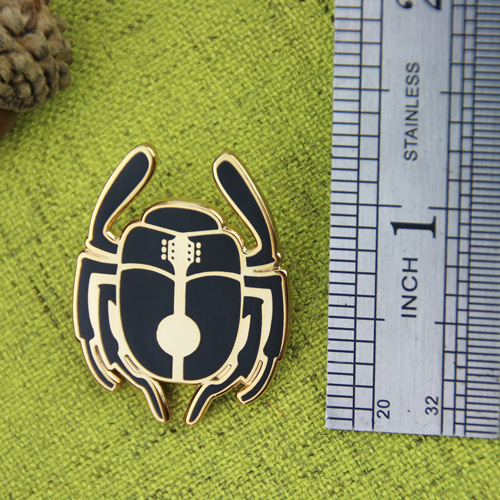 This jewelry beetle quality pins are made of Genuine Cloisonné hard enamel and gold plated. 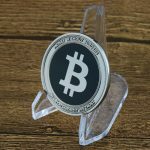 GS-JJ can provide many different lapel pins, including personalized pins at the lowest price. From newspaper, some people put the live beetle inlaid with precious stones, used as pins, how incredible! I remembered a woman who came to Mexico tourists, security at the U.S. airport is to declare themselves with a beetle, and the beetle wearing a jewel, apparently which is a valuable beetle.